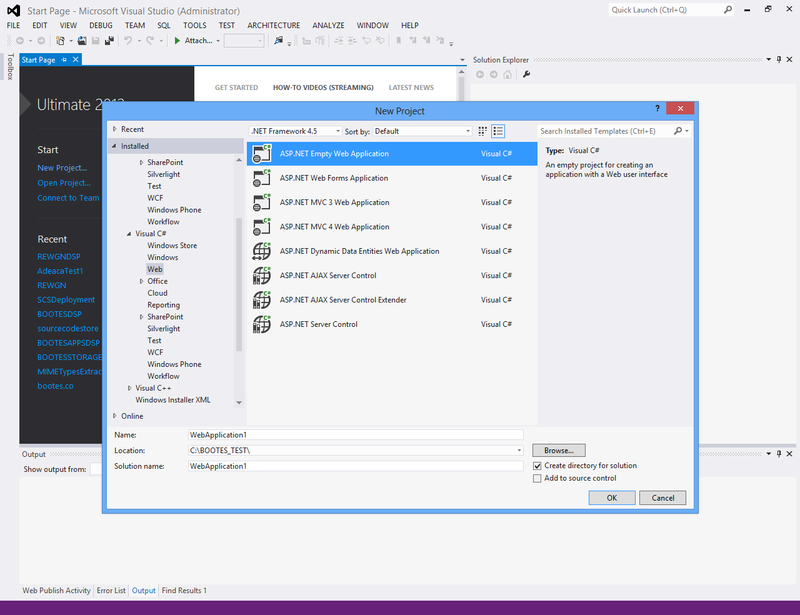 Create a table on a SQL Server database. This table will be used to query data and display it in the HTML page. This table is from the Work Breakdown Structure Example of the ActiveGantt scheduler component. It contains String types, integers, dates and real datatypes. 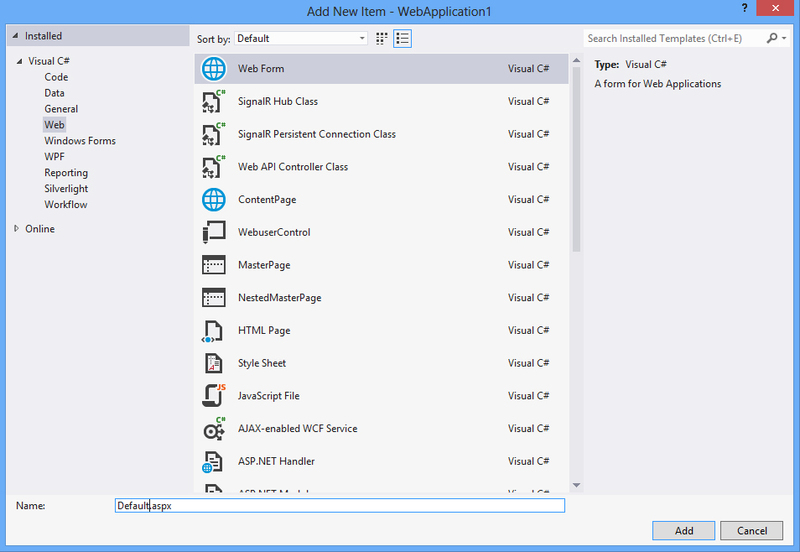 Create a new ASP.NET web form application by clicking on ASP.NET Empty Web Application. 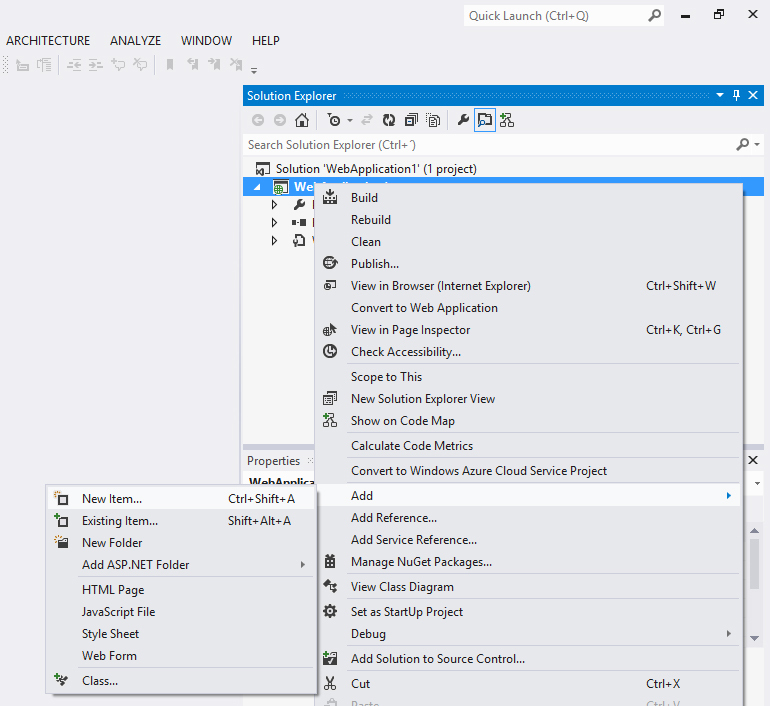 In this case we have named the project WebApplication1. 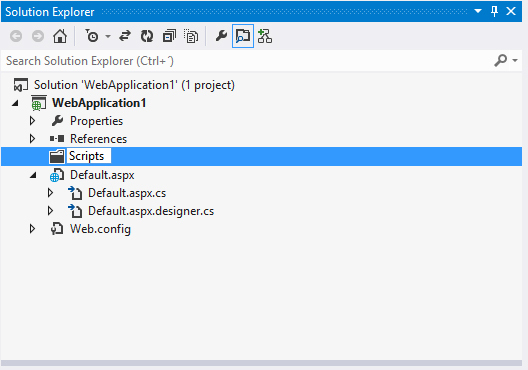 Once you click on the OK button you will have an empty ASP.NET web forms application. Select Web Form from the available options and name it: Default.aspx. 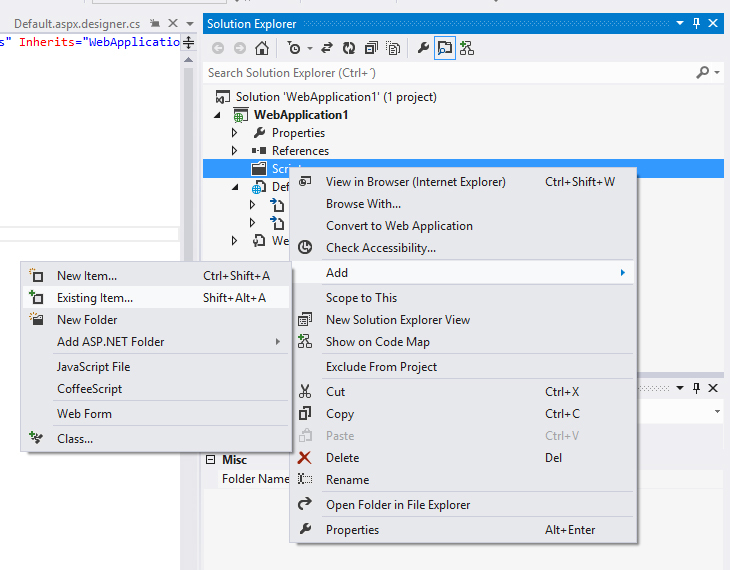 Right click on WebApplication1 in the Solution Explorer, select Add from the dropdown list and select New Folder. Rename this folder to Scripts. Select the newly renamed folder Scripts and right click. Select Add from the dropdown list and select Existing Item. 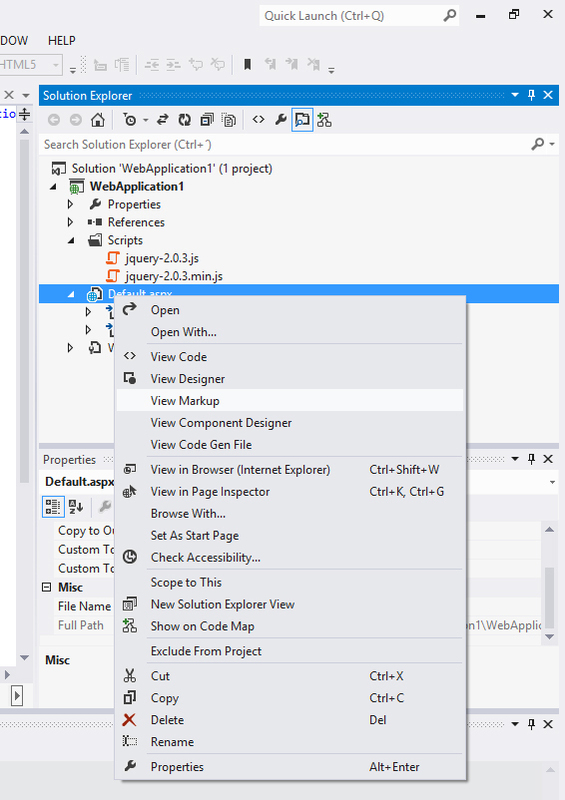 Select Default.aspx from the Solution Explorer, right click on it and select View Markup from the dropdown box. In the head section we're including a reference to the debug version of the JQuery library and we're defining a function called mp_GetData that makes an Asynchronous JQuery Ajax call. This Ajax function calls a web method in Default.aspx called GetData. In the body we create a button that when clicked calls mp_GetData. mp_GetData first calls the server using a POST command and when it receives data from the server in JSON format in the success section and adds rows to the Table called oTable in the body section. At this point and time the client side code is complete. The class clsTable is simply a List of clsRow objects. 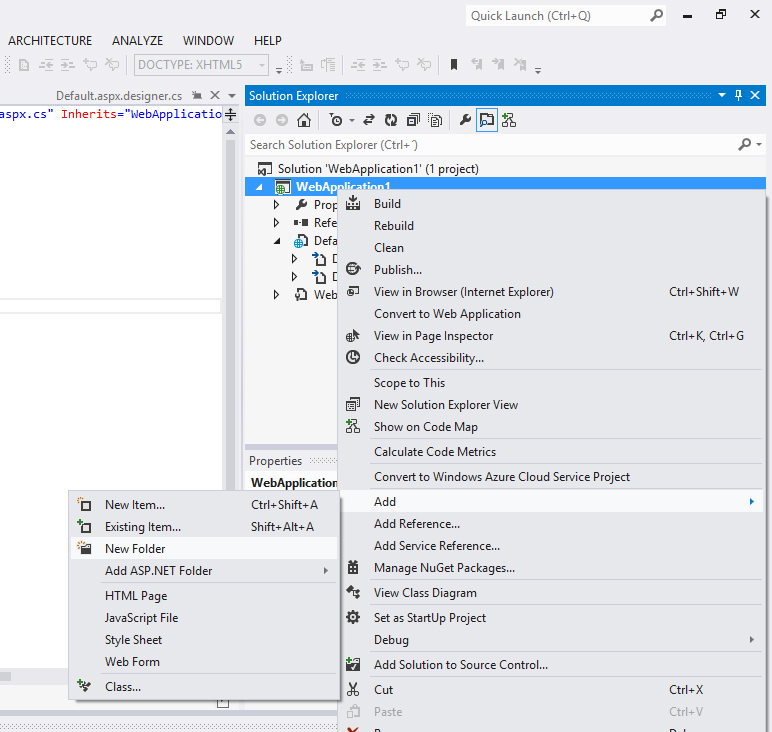 When using a web method with ASP.NET, the framework automatically serializes the clsTable class to the appropriate JSON string without any intervention. That's why we have to populate the clsTable object from the SqlDataReader. Now click on Debug -> Start Debugging or press the F5 key.